Jennifer Sue Marise, age 56 of Lawrenceburg, TN passed away at her residence on Monday, August 13, 2018. She was born on February 5, 1962 to Thomas and Barbara Nunley Mearse in Fayetteville, TN. Her parents preceded her in death. 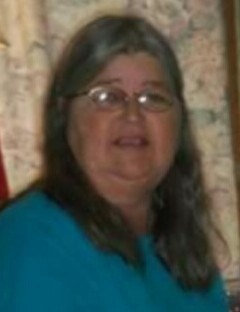 She was a homemaker, loved to cook, drinking sweet tea, fishing, and most of all her grandchildren. Jennifer is survived by her husband, Jerry Marise, Lawrenceburg, TN; two sons, Gary (Rachel) Harris, Taft, TN, William (Sarah) Harris, Lawrenceburg, TN; two daughters, Amanda (Greg) Sharp, Shelbyville, TN, Linda (Wayne) Britton, Columbia, TN; brother, Terry (Hester) Mearse, Sr., Louisville, KY; two sisters, Angela ( Dave) Lamar, Kathleen ( J. R. ) Swain, both of Lewisburg, TN and eleven grandchildren. Visitation with the family will be held on Friday, August 17, 2018 from 10:00 am until 1:00 pm in the chapel of Bills-McGaugh & Hamilton Funeral Home. The funeral service will be held immediately following visitation at 1:00 pm with Everette Wilson, Judy Wilson, and Jerry Marise officiating. Burial will follow in the Middleview Memorial Gardens, Nashville Highway, Lewisburg, TN. Active pallbearers are Dave Lamar, Greg Sharp, J. R. Swain, Clay Nunley, Brandon Lamar, and James Polk. Notes of condolences may be sent to the family at www.billsmcgaugh.com. The family wishes to express a special thanks to Matthew Lowe for making Aunt Sue's tie dyed shirt.